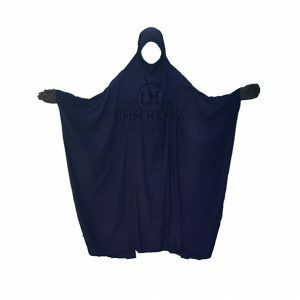 Sunnahstyle Pull-Down One Layer Niqab is a Khaleeji niqab made of soft, high quality chiffon that is comfortable and extremely breathable. 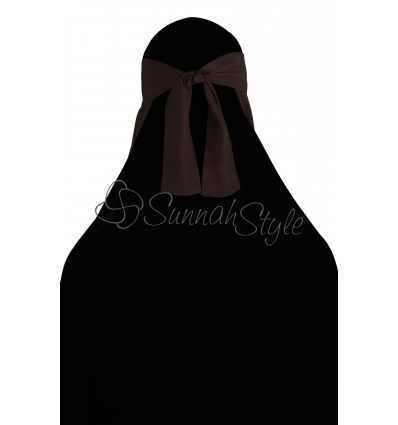 Like our regular One Piece Niqab, the niqab ties around the head but has elastics at the sides which attach the face-covering piece to the headband. 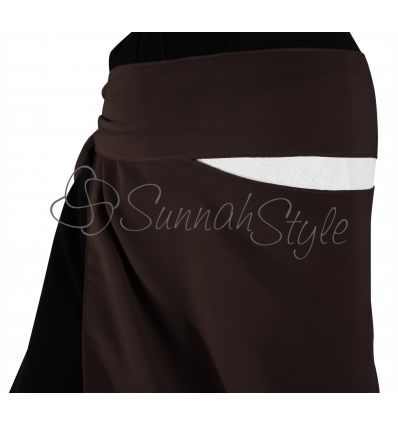 The elastics make the eye-opening fully adjustable to as narrow or wide as needed. 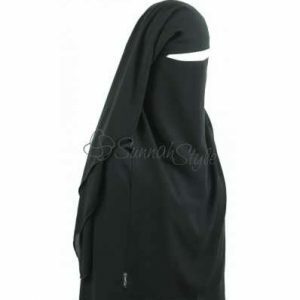 They also make it possible to pull the bottom part of the niqab fully under your chin which is convenient for places like the masjid where you can expose your face but might not want to take off your niqab completely. 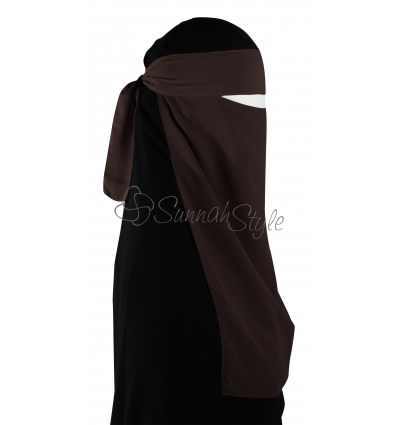 Available in black , navy blue, dark brown and dark grey. 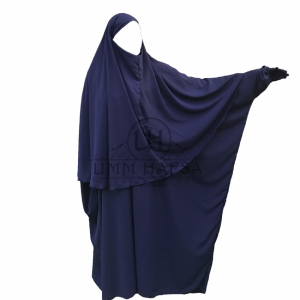 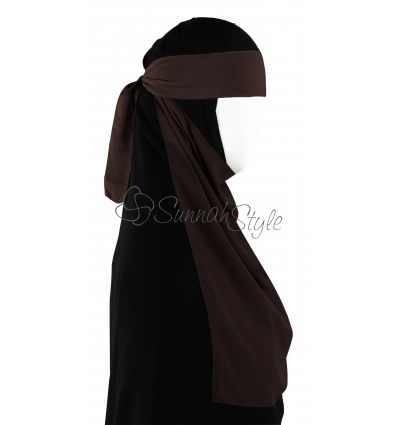 Availability: Out Of Stock Size: N/A Categories: Pull Down Niqab, Sale, Brands, Sunnahstyle, All, One layer niqab. 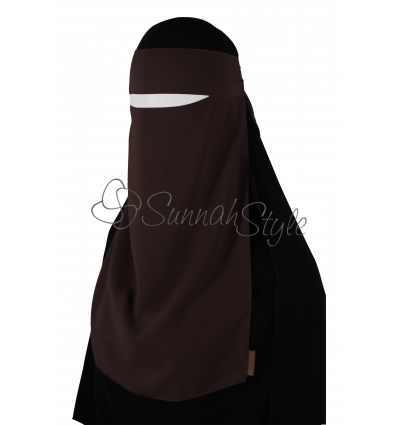 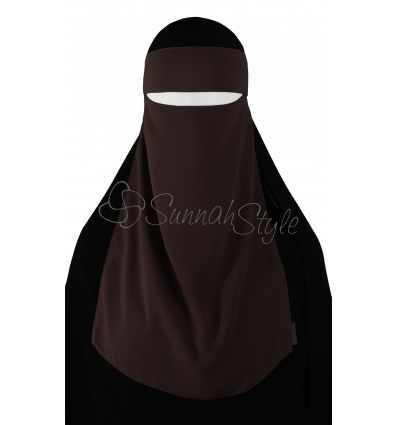 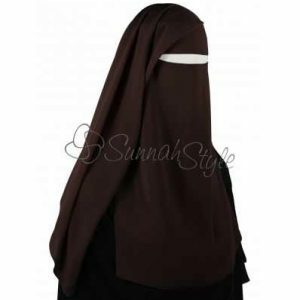 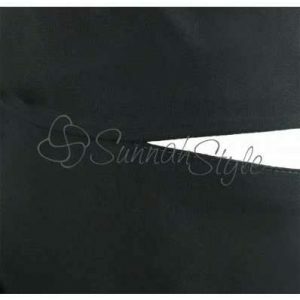 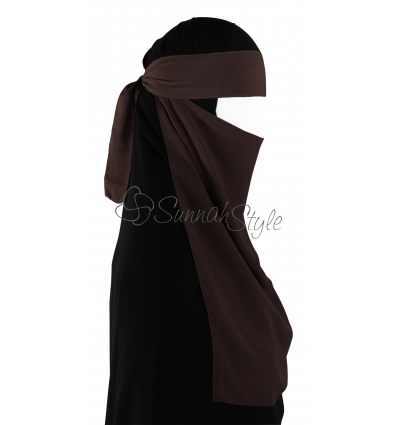 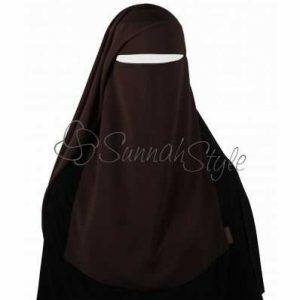 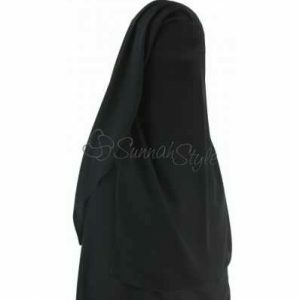 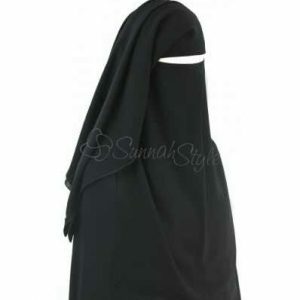 Sunnahstyle Pull-Down One Layer Niqab features a fully adjustable eye opening making it convenient for eating, wearing to the masjid, or for sisters who wear glasses.